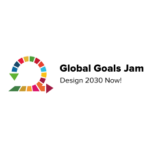 The #GlobalGoalsJam 2017 is a two day event consisting of short design sprints. Creative teams of designers, developers and Jammers from the local community work together using a tailored toolkit. Together, over 1200 jammers in 40 cities will create interventions aimed at short term targets in support of the long term goals. Building on the Misk-UNDP Youth Forum held on the 15th, Misk and the Permanent Mission of the Kingdom of Saudi Arabia to the UN are joining forces to develop an action plan for tolerance, peace and a sustainable future. This roundtable session will bring together 18 youth leaders from around the world with government officials and UN leaders to develop a clear pathway for young people to play a more central role in building more tolerant and peaceful societies and delivering the SDGs. The overall theme of this year’s Hult Prize program is “Reawakening Human Potential: The Refugee Opportunity and The Hult Prize Challenge”. The program will commence with opening remarks on the current state of the involuntary migrant crisis and will immediately be followed by the presentation of six individual university team generated start-up enterprise solutions to the 2017 Hult Prize Challenge. Each of the six presentations is six minutes in length, followed by four minutes of open-air questions and answers. This year’s Hult Prize finalists have been selected from a pool of over 50,000 participants, representing more than 100 countries. The winner will receive US$1,000,000 in start-up capital to realize and scale their enterprise. The Solve Challenge Finals in New York City will bring together selected innovators to pitch their solutions to a panel of expert judges and a live audience on Solve’s 2017 Global Challenges: (1) Brain Health, (2) Sustainable Urban Communities, (3) Women and Technology, and (4) Youth, Skills, & the Workforce of the Future. Those chosen by they judges will become Solvers, who join the Solve community to build partnerships with cross-sector leaders that help pilot, scale, and implement their solutions. On Sunday, September 17th Global Citizen and Riverside Church will join together for an afternoon of dynamic dialogue and musical performances commemorating the 50th Anniversary of Dr. King’s Beyond Vietnam speech. Participants include: The Rev. Al Sharpton, Forest Whitaker, Chelsea Jackson Roberts Ph.D., the Howard University Gospel Choir, and more esteemed guests. The Equator Prize, organized by the Equator Initiative partnership, hosted by the United Nations Development Programme, is awarded biennially to recognize outstanding community efforts to reduce poverty through the conservation and sustainable use of nature. As the preeminent nonpartisan forum taking place alongside the UN General Assembly, Concordia convenes over 2,000 top influencers and decision makers through action-oriented programming that aims to build partnerships for social impact. 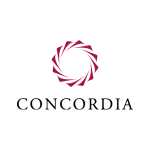 At the 2017 Concordia Annual Summit, our programming will reflect the major issues impacting the U.S. and the global community at large, including the mounting refugee crisis, the rise of populism, investment in sustainable infrastructure, and the evolution of domestic health policy, among many others. Held every two years in a different region of the world, the ICC WCF World Chambers Congress offers unparalleled opportunities to connect and strengthen relations with a diverse and international group of chamber and business leaders from more than 100 countries. Co-organised by the Syndey Business Chamber, a division of the NSW Business Chamber, the 10th edition is set to examine contemporary issues within the global business landscape, promote result-oriented innovation and provide a platform for the exchange of knowledge and expertise. The UN Private Sector Forum 2017 will focus on the theme of Financing the 2030 Agenda. Achieving the Sustainable Development Goals requires unlocking new forms of financing at an unprecedented scale, and ensuring the UN and its partners makes a strategic pivot to facilitating financial innovation, catalyzing responsible business growth, and increasing private and public investment in the Global Goals. ICSD brings together professionals from the private sector, academia, government, and civil society, along with students from the world’s top universities to learn about inspiring research on sustainable development from the world's most prominent thought leaders. We welcome participants from all sectors and experience levels at this public event. This session will dive into approaches for strengthening and rebuilding health systems in especially challenging contexts, through integrated programs that increase the adaptive capacity of health systems and protect the health of those most vulnerable while unlocking their individual and collective capacity to rebound from crises stronger than before. This event aims to shine a spotlight on the ways women are leading the world to meet the 2030 deadline for achieving the Sustainable Development Goals, and foster a discussion around what is needed to bring others to the table to deliver this ambitious agenda. Speakers including women leaders from business and civil society. The event will highlight experiences of health workers and a youth leader in humanitarian contexts. Featured speakers include Her Royal Highness Crown Princess Mary of Denmark; Ashley Judd, Actress and UNFPA Goodwill Ambassador; and Dr. Natalia Kanem, UNFPA Acting Executive Director. Global Citizen Live! is an evening of advocacy, music, and impact bringing together world leaders, activists, influencers and some of the biggest artists in the world to amplify cutting-edge solutions to the world's greatest challenges. On Monday, September 18th, Global Citizen Live! will support Global Citizen’s campaigns and catalyze our global community of advocates, activists, private sector and NGO partners. The night also will feature the presentation of the 2nd Annual George Harrison Global Citizen Award, a humanitarian honor presented to an artist who has demonstrated excellence and sustained commitment in music and activism, blending art with advocacy for social good impact. In 2016, Global Citizen, together with Paul Simon, Dhani Harrison, and Olivia Harrison, presented the inaugural award to Dhani and Olivia Harrison to honor George Harrison in recognition of his groundbreaking work at The Concert for Bangladesh in 1971 - The first ever benefit concert to address a grave and exigent humanitarian crisis. Alongside the presentation of the Harrison Award. The artists who bring you Concert for a Sustainable Planet hope to foster a dialogue and inspire action on the SDGs. This concert features world premiere dance and music compositions designed in collaborations between artists and scientists to communicate the pressing issues of our time and build active connections between the performers on stage and the audience. 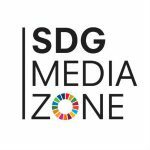 The SDG Media Zone is a platform for editors, bloggers, content creators and influencers to communicate innovations, partnerships and discussions as a call to action for humanity to engage the Sustainable Development Goals. The SDG Media Zone is powered by a partnership between the Office of the President of the General Assembly, United Nations Department of Public Information, United Nations Foundation and the PVBLIC Foundation. Climate Week NYC (18-24 September) comes at a critical point in the global response to climate change. The summit will take place alongside the UN General Assembly and will bring together international leaders from business, government and civil society to showcase the unstoppable momentum of global climate action. Climate Week NYC will be launched at a high profile Opening Ceremony on Monday, September 18 at The Morgan Library. 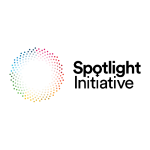 Hosted by The Climate Group, the Opening Ceremony will bring together global leaders from government and business to explore the themes of Innovation. Jobs. Prosperity. This event will connect diverse stakeholders to debate and share knowledge on achieving the SDGs at low cost and low carbon footprint in the Amazon Basin Region, while promoting open and free access to solutions and the broad involvement of the public. Whether they start grassroots or top-down, inspired by a movie or a political underdog, movements represent the collective power of people to affect the change they want to see in the world. And in these uncertain times, mass coordination and collaboration are arguably more important than ever. 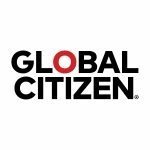 On Tuesday September 19, during Global Citizen Week in New York, we are hosting Movement Makers — which will bring together the best minds in movement building to equip young leaders with invaluable insight to further their own missions. Through a series of dynamic panels, fireside chats and TED style talks, experts from a diversity of fields— ranging across the arts, political, social good, marketing and behavioral science spheres— will share their perspectives with an audience of 500 youth advocates, Global Citizens and other leaders on the subject. Journalist Femi Oke will moderate a discussion exploring how data can be used to achieve not just monitor the Sustainable Development Goals and how, during a period of stark global threats including extreme weather, economic shocks and food insecurity, the global community needs to double down on data innovation if we are to stay on track with Agenda 2030. Sport meets advocacy in this fast paced street soccer event: 24 teams of inspiring women from all over the world compete to win the Global Goals World Cup trophy. Featuring celebrity referees, DJ’s and high-level addresses. 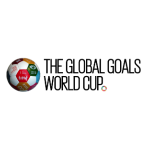 To qualify for the tournament, each team has led a campaign of advocacy and action for their favourite UN Global Goal. The teams compete for the Global Goals World Cup trophy by a unique set of rules based on action, mobilization, creative style, and soccer skills. Supporters and friends can also join dinner following the game, see website for details. The event will discuss different models of “team-based approaches” to improve quality of services for maternal and newborn survival. Featured country case studies include Nigeria, Uganda, Mexico and others. 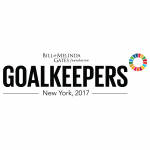 Global leaders and influencers will gather to honor, celebrate, and support new and emerging leaders who are ‘Goalkeepers’ - individuals making remarkable contributions, with extraordinary stories, that bring to life the progress being made to achieve the Sustainable Development Goals (SDGs). The event explores how important it is to be able to break down data into different groups in order to make sure they aren't being excluded from development progress. Government ministers, representatives from civil society, United Nations and more will showcase how data projects on gender, age, disabilities and geography can shine a light on the realities of people's lives. Poor vision is the world's largest unmet disability affecting 2.5 billion people. 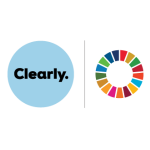 Improved vision for those who need it would help drive progress on the elimination of poverty, ensure healthy lives, help empower more women and girls, reduce inequality, improve education, lead to more decent work, and help drive more inclusive and sustainable economic growth, all Global Goals and pillars of the 2030 Agenda. This event will feature contributions from Dr. Agnes Binagwaho, Vice Chancellor & Chief Executive of University of Global Health Equity in Rwanda and former Rwandan Minister of Health; His Excellency Dr. W Alfonso Webson, Permanent Representative of Antigua and Barbuda to the United Nations; James Chen, venture philanthropist and founder of Vision for a Nation and Clearly; and Kevin Cahill, Chief Executive of Comic Relief 1997-2016 and founder of Sport Relief (invited). 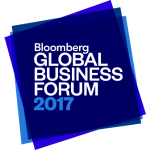 The Bloomberg Global Business Forum, taking place on September 20th in New York City, will bring together international heads of state and CEOs from across every industry to build a path forward towards lasting economic progress. Building on the success of Bloomberg's historic 2014 and 2016 U.S.-Africa Business Forums, this new conference expands the discussion to a global level with leadership from every continent. 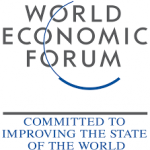 The Forum will provide an unprecedented opportunity to create a more transparent, equitable and sustainable framework for the global economy. This event offers a candid conversation about the realities of HIV in sub-Saharan Africa. Moderated by international journalist Femi Oke, you’ll hear firsthand stories from girls and women, including a South African mother and her teenage daughter and a young woman from Nzeve Deaf Children’s Centre, on the challenges they face and what’s needed to ensure a healthy, HIV-free future. 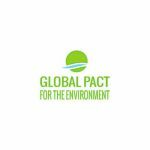 Under the guidance of Prof. Jeffrey Sachs, Special Adviser to the UN Secretary-General on the SDGs, and Laurent Fabius, President of the Constitutional Council of the French Republic, organizers will host a one-day Conference to present and discuss the blueprint for a Global Pact for the Environment. In its November 2015 report Increasing the Effectiveness of International Environmental Law: Duties of States, Rights of Individuals, the Environmental Commission of Le Club des Juristes (CDJ) proposed the adoption of a Global Pact for the Environment to serve as a binding, universal “umbrella text” synthesizing the principles outlined in the Rio Declaration, the Earth Charter, the World Charter for Nature, and other instruments shaping environmental governance. The event aims to raise awareness and support for a collective response in safeguarding the future of children and young people affected by the conflicts in Syria and Iraq. Goalkeepers is a new event dedicated to accelerating world progress. The event is being hosted by the Bill & Melinda Gates Foundation this September in New York City. The purpose of this event is to highlight the Johnson & Johnson SDG Commitment, what they are and how J&J plans to achieve them. The panel includes J&J leaders and featuring keynote, Loyce Pace, President, Global Health Council; and moderator, Raj Kumar, CEO, DEVEX. In addition to panel discussions, there will be a “J&J Changemakers’ Expo”: an interactive expo highlighting our partners’ work. Lunch and reception included. Violence against women and girls is one of the most widespread, persistent and devastating human rights violations in the world today and a major obstacle to the fulfillment of women’s and girls’ human rights and to the achievement of the 2030 Agenda for Sustainable Development. The event will announce a new global, multi-year partnership between the European Union and the United Nations to eliminate violence against women and girls. GenH Challenge has the unique opportunity to not only pull audiences together from the UNGA landscape by taking advantage of the New York City entrepreneur community and the Johnson & Johnson Headquarters community just a short train ride away. With only three weeks to go till the submission deadline closes, UNGA represents a pivotal time for the GenH Challenge Engagement and Outreach Strategy to convert GenH champions and community members into applicants and teams. 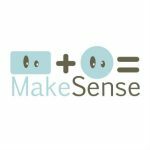 This hands-on workshop will provide insights, activities, and networking that will generate quality GenH Challenge submissions. 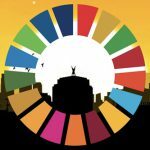 How can we empower citizens all around the world to use disruptive technologies (AI, Blockchain, Virtual reality, New manufacturing...) to create solutions to solve the Global Goals? Come share with young Social Entrepreneurs who are using these technologies to make a change in a bar camp-format event (Anyone can take the floor and present after introductions from the speakers). TEDGlobal>NYC will be held in Manhattan on the early evening of Wednesday, September 20, 2017, with a mission to catalyze new thinking about world issues. 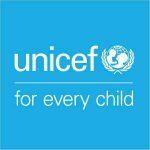 Under the umbrella of the #EarlyMomentsMatter campaign, UNICEF will host the launch of a global report on Early Childhood Development on September 21st, 2017 at the UNHQ Secretariat in New York. The objective of the event is to mobilize governments and private sector partners to commit to the 5 point agenda for action. 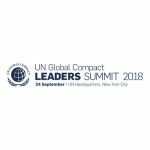 The UN Global Compact Leaders Summit brings together an international community of leaders from business, civil society, academia, Government and the United Nations to accelerate business action and partnerships to achieve the UN Sustainable Development Goals (SDGs) and Paris Climate Agreement. Progress against malnutrition is possible - and critical. Join us for a reception to celebrate success and accelerate efforts to address childhood stunting. The Global People’s Summit +SocialGood Summit is a day-long, one-of-a-kind innovative global dialogue that brings together global leaders and people from around the world to find solutions to some of the world's most pressing challenges. The Global People’s Summit+SocialGood will engage senior government officials, the diplomatic corps, lead global development and humanitarian institutions, entrepreneurs and social innovators, donors, the private sector, academia, civil society and NGOs, youth, financial institutions and creative partners, in a conversation on how we can collectively make the world a better place. The Global People’s Summit+SocialGood provides a space for a truly global conversation to take shape—a place where people and organizations around the world can collaborate, share best practices, influence local and global agendas, foster innovation, embrace disruptive technology, and find new ways to translate their vision into action, far beyond the Summit itself-- ONLINE. Anticipated digital reach of over 17 million from 160+ countries. Global Citizen is a community of people like you. People who want to learn about and take action on the world’s biggest challenges-and use their power to get other people involved too.